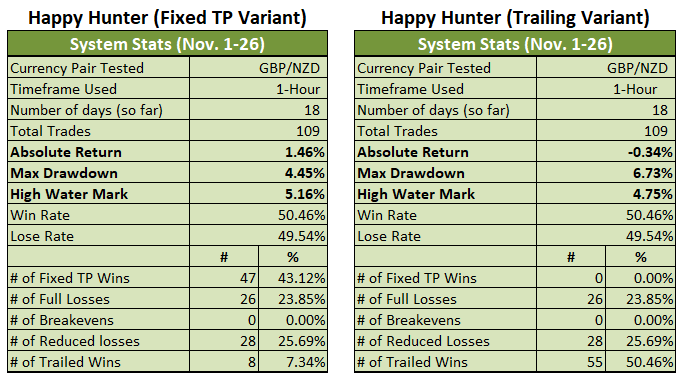 The Happy Hunter turned in a mixed performance on November 27 since the Trailing Variant was able to ride a large chunk of the downtrend during the first half of the day. 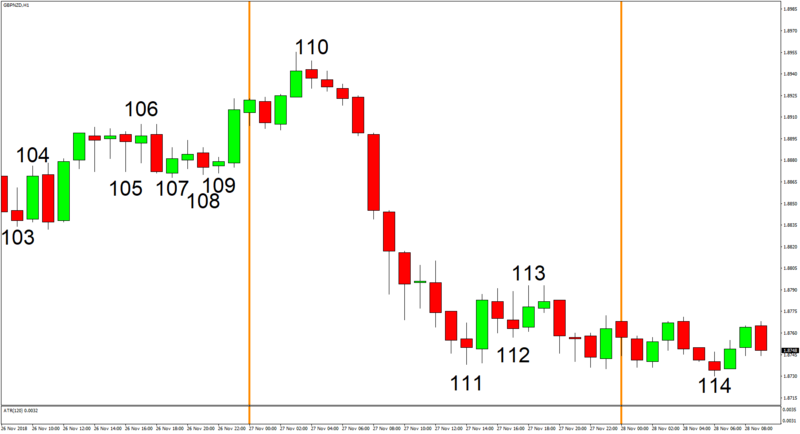 However, GBP/NZD started trading sideways during the later half of the day and a couple of losing trades were generated (trades # 111 and 112). 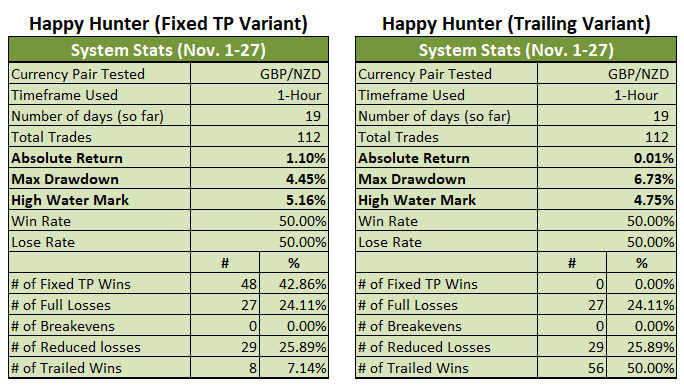 And unfortunately for the Fixed TP Variant, those two losers were enough to erase the gains from the one winner (trade # 110), so the Fixed TP Variant is now only up by 1.10% for the month (+1.46% previous). 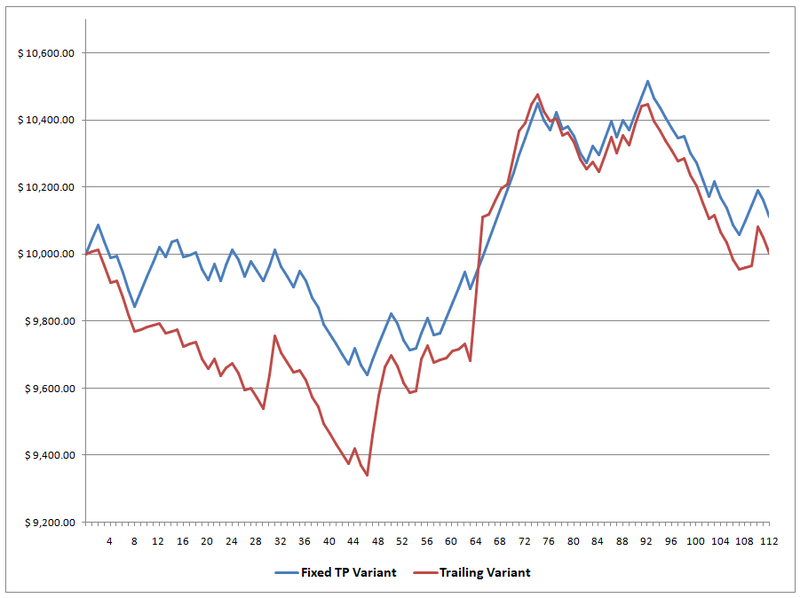 As for the Trailing Variant, I mentioned earlier that it was able to ride the downtrend, so the Variant is now barely in positive territory again with a 0.01% gain (-0.34% previous).